Es ist ziemlich genau drei Wochen her, als ich eine einfache Website online gestellt habe, die für all diejenigen gedacht war, die eben kein Facebook-Profil haben. Den Artikel dazu findet ihr hier. 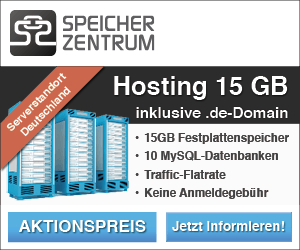 Schon bei der Domainregistrierung dachte ich mir, dass der Name „Facebook“ in der Domain ggf. für Probleme sorgen könnte, dachte dann aber an Dinge wie facebookcovers.org, allfacebook.de und Ähnliches. We write regarding your registration and use of the domain name nofacebookprofile.com, which contains the famous Facebook trademark. As you know, Facebook is the leading online social network, available at www.facebook.com and on mobile devices. Facebook has used the Facebook trademark in connection with its social networking services since 2004. The Facebook trademark is registered in the United States and internationally, and is one of the most famous trademarks on the Internet. As we hope you can appreciate, protection of its trademarks is very important to Facebook. To avoid consumer confusion and harm to the Facebook brand, we must insist that you stop using the name and domain nofacebookprofile.com and disable any site available at that address. You should not sell, offer to sell, or transfer the domain name to a third party and should let the domain registration expire. Please confirm in writing that you will agree to resolve this matter as requested. We appreciate your cooperation. Hab‘ dann natürlich auf deutsch geantwortet, einfach so, weil ich’s kann. Wie dem auch sei, die Seite hat nicht mal 2000 Besucher und bam schon scheißen die mir auf den Tisch, was aber ehrlich gesagt absehbar war – hätte nur nicht gedacht, dass es so schnell geht.